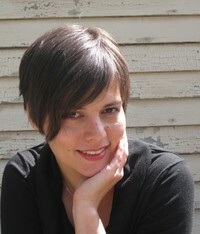 Lynn Coady is an award-winning author, editor, and journalist. Her previous novels include Saints of Big Harbour, which was a national bestseller and a Globe and Mail Top 100 book, and Mean Boy, a Globe and Mail Top 100 book. Her popular advice column, Group Therapy, runs weekly in the Globe and Mail. Coady is originally from Cape Breton Island, NS, and is now living in Edmonton, Alberta. We’d love your help. Let us know what’s wrong with this preview of The English Patient by Michael Ondaatje. We’d love your help. Let us know what’s wrong with this preview of Atonement by Ian McEwan. We’d love your help. Let us know what’s wrong with this preview of Slow Man by J.M. Coetzee. “I,” I’ll type. And that will be enough. “And thank you for not putting it in your book. Who is your favorite Canadian author?